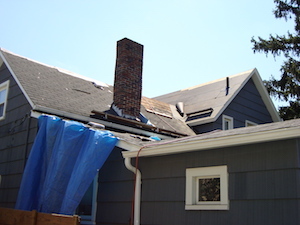 Replacing your roof is probably one of the biggest investments to consider. An expense this large can become daunting when it comes time to search for the right price and the right company. That is why when you choose to work with Bill Jackson Roofing we combine both affordability and quality for every job. We specialize in roof replacements all throughout Ohio, including Elyria, Lorain, North Olmsted and surrounding areas. Call us today for a free estimate in your area. We look forward to hearing from you! The before and after photos for a customer in Elyria. Removed roof down to decking. Replaced 80' of rotted wood. Installed Bill Jackson Roofing, Inc. Pro Plus System. A roof replacement for a customer in Sheffield Lake. "Can I give a ten? Every call was met with courtesy,..."
You don’t just want a company that has all the right certifications and licensing. While those licenses and certifications are important and crucial to the company’s existence in the first place, reliability, credibility and the relationship you build with a company is far more important than anything. Here at Bill Jackson Roofing we pride ourselves on providing unmatched customer service and quality, reliable solutions. We want to work WITH you to achieve the results you want, with a price you can afford and be satisfied with. If you live in North Ridgeville, Amherst, Grafton, Avon, Oberlin, Sheffield Lake, Lagrange or any other area in Northeast Ohio, call us today to schedule a free on-site inspection and detailed estimate.